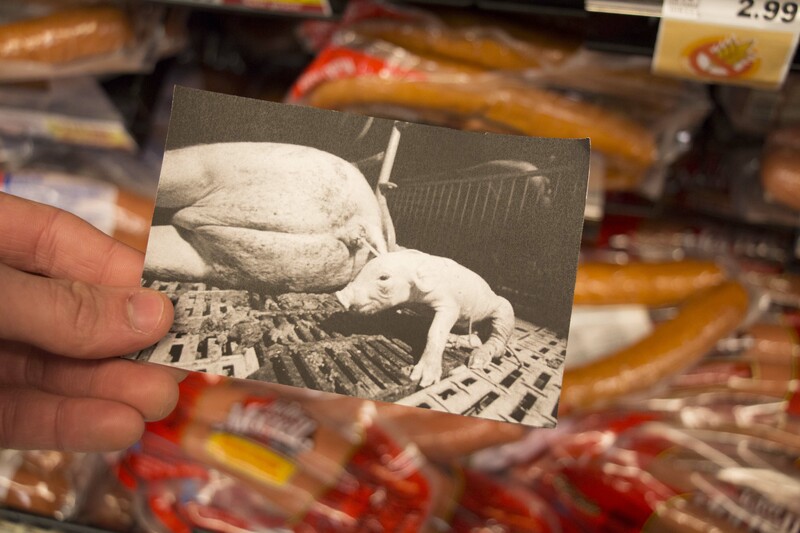 Something I have been passionate about for a long time is animal abuse in factory farms. When my digital photography class was assigned a “political stance” project, I immediately knew what I was going to do. 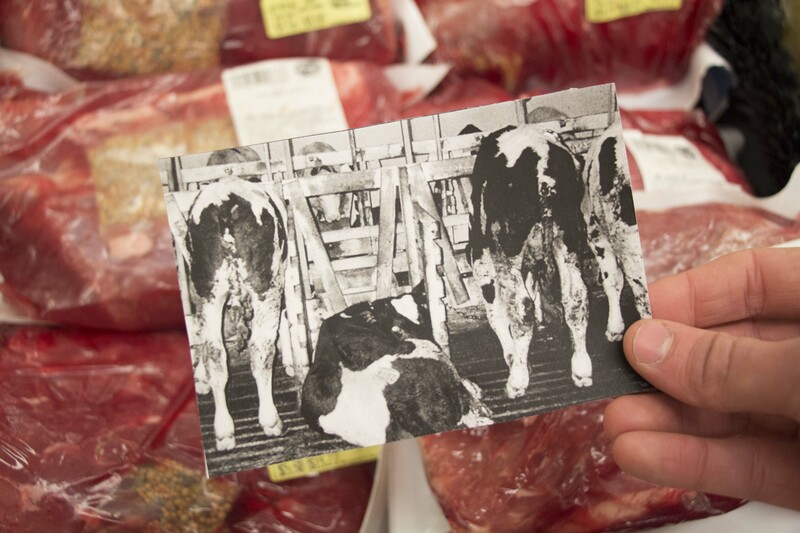 Because 99.9% of meat in the U.S. comes from factory farming, I decided to go to the main place where people obtain their meat: the grocery store. 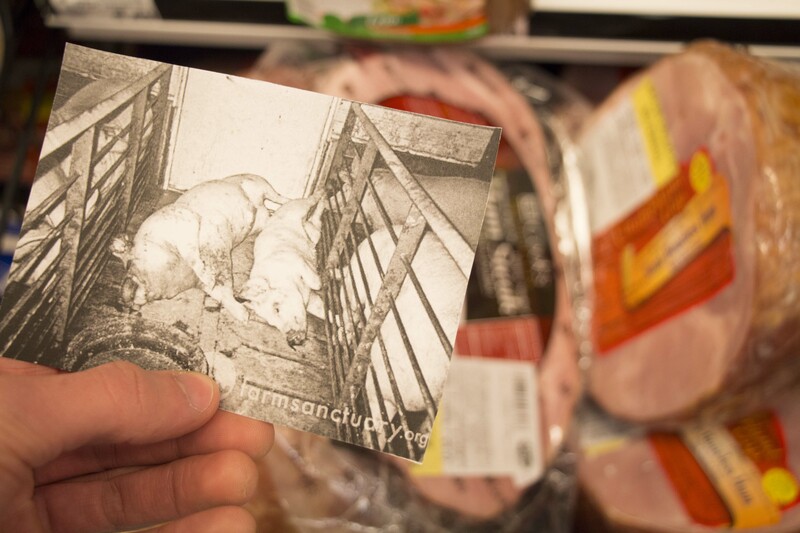 Taking printed images of undercover factory farming scenes, I had a friend hold the images against meat shelves while I snapped the shots. My approach was simple, but gets the point across easily.